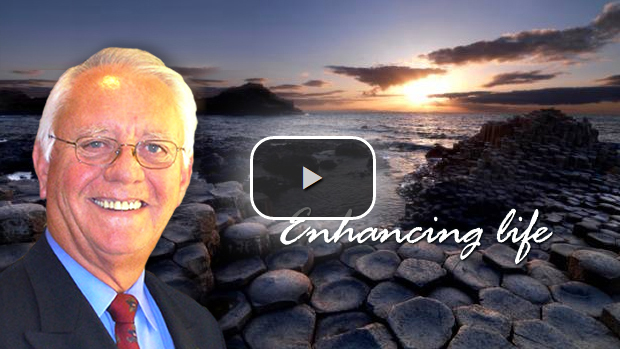 Paul Pringle, Chiropractor in Belfast, was born in the USA. Educated in Virginia, attending the College of Science and Medicine at the University of West Virginia, Morgantown until 1958. As a youth Paul Pringle was involved in a serious motor accident. This affected his spine, nerve system and especially his general health. After many years of medical and hospital care with varied health and immune system problems his quality of life was severely limited. Almost out of desperation Paul Pringle’s parents decided to consult a chiropractor. 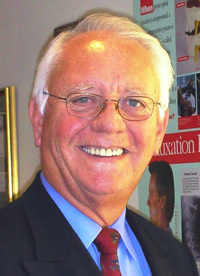 Paul Pringle was so impressed by his response he discontinued his medical education and began a quest to become a doctor at the coveted Palmer University, Iowa, USA, where he was awarded his Honours degree in 1962. Paul Pringle has practiced and lectured from as far as Australia, New Zealand to USA and from the Isle of Man, Spain and Sweden to Northern Ireland. In 1972 he decided to take his profession to the outback of Australia and become the most remote chiropractor in the world for the next 15 years. During that time he purchased an aircraft, learned to fly and established the first flying Chiropractic service in the southern hemisphere. Paul Pringle has treated many of Hollywood’s top stars and sporting personalities from around the globe. Paul Pringle is a foundation member of the United Chiropractic Association, a charter member of the prestigious Australian Spinal Research Foundation and is registered with the General Chiropractic Council in the UK. He is also associated with the FIACA, is an instructor at ‘Touch’ For Health (Applied Kinesiology) and a Certified NeuroInfinity Bio-Feedback Assessor. The practice of Chiropractic never ceases to amaze me. To help people help themselves is the best feeling I know of. You know the old Chinese proverb- ‘Give a man a fish and you feed him for a day. Teach a man to fish and you feed him for a lifetime.’ My greatest calling is to make metaphorical fishermen out of my practice members. Little miracles happen every day without the use of drugs and surgery. Now that’s really cool, in my mind! I don’t think I will ever retire (God willing). A leading chiropractor in Belfast, Paul Pringle, has resided in Northern Ireland for the past 22 years and is happily married to Maxine, who is the Practice Manager in our Belfast Chiropractic office. Maxine also worked in the dental profession for 20 years, 12 of which were spent in the Middle East. He has three lovely children and two teenage grandsons who live in Australia. When Paul and Maxine are not absorbed with work (which is very rare), they love to travel and visit friends around the world. The good doctor also likes to read, blog and stay abreast of the latest developments in the health domain. An active Rotary member for over 25 years, Paul Pringle also likes sports, eating out and live theatre. His toy poodles also ensures he gets lots of exercise every day! Pringle Chiropractic is registered with The General Chiropractic Council (GCC) and are members of HSA and PPP Health Insurance companies.